The University of Birmingham has a pioneering centre to lead research into the world’s forests, funded by a £15 million donation from former student and academic entrepreneur Professor Jo Bradwell and his wife Barbara. It’s one of the largest gifts ever given to a British university. The Institute for Forest Research will study the impact of climate and environmental change on woodlands and the resilience of trees to pests and diseases. Professor Bradwell, who studied medicine at the university and graduated in 1968, subsequently becoming a professor in the Department of Immunology, said: “The UK has the lowest woodland cover of any large European country because of deforestation over the centuries. "What little we have remaining is now under serious threat from climate change and imported tree diseases. 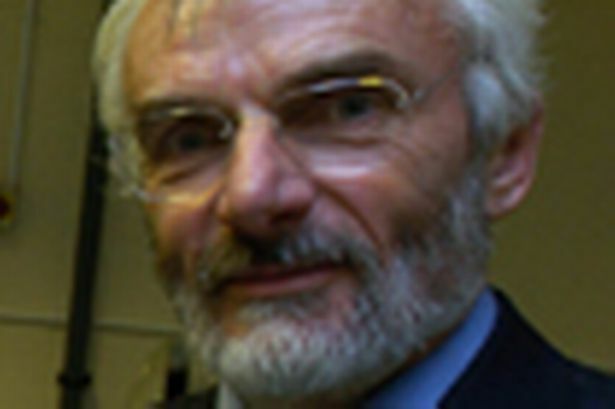 Professor Bradwell founded Birmingham-based medical diagnostics company Binding Site in 1983. It is a classic example of how discoveries in the laboratory can achieve considerable commercial success. The company was spun out of research work undertaken at the University of Birmingham. The team developed a new way to produce highly sensitive antibodies which could be used for diagnostic tests to identify childhood immune deficiencies and blood cancers in adults. Realising they had identified a process with huge commercial potential internationally the research team, led by Professor Jo Bradwell created the Binding Site as a commercial venture. That was more than 30 years ago. In November 2011, Prof Bradwell sold the majority of the shares in the medical diagnostics company to private investment group Nordic Capital. Jo Bradwell retains a small shareholding and remains on the board. The value of the sale is undisclosed, but it will have been a considerable sum. In 2009, Binding Site’s auto-immune operation was sold to the Werfen Group for £80 million. Jo Bradwell, 71, remains a professor at Birmingham University and is still involved in research. The Binding Site leases laboratories from the University and does much of its work there. Its headquarters is a state-of-the-art research facility in the heart of Edgbaston&apos;s medical quarter in Calthorpe Road. Employing more than 600 people, the company has offices and distributors all over the globe, with a major operation in San Diego, USA. The Binding Site began with a range of clinical research products. It has continued to grow and expand, launching new, high-value, knowledge-based products and opening new offices around the world. It has won the Queens Award for Export Achievement, and the Queens Award for Enterprise twice. Forty per cent of the company’s products are sold in the US. In 2015 it picked up the Queens Award for International Trade. Prof Bradwell is an accomplished climber despite his age. He successfully climbed the 3404m Pico De Aneto in the Pyrenees and has been on several expeditions to the world’s highest mountain ranges in the Himalayas and South America. He is founder of the Birmingham Medical Research Expeditionary Society, which was begun in 1977 when several young doctors started climbing together and - to help fund their expeditions - devised research projects to study the effects of mountain sickness. Since then the society has prospered as a medical research charity, backed by pharmaceutical companies and research funds.